The Fujifilm Instax Mini 9 was announced in early 2017, replacing the already popular Mini 8 model. 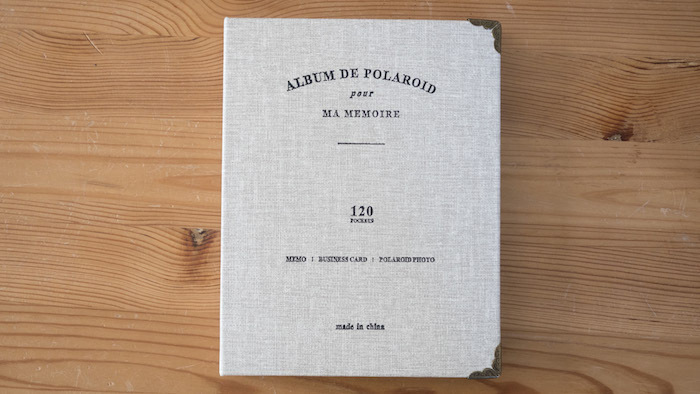 Since then, it has become a favourite amongst analog photographers looking for a fun and easy-to-use instant camera to use with friends and family. If you own the Mini 9, you’re in luck – below you can find a list of accessories you might find useful for your new instant camera. Some are more practical, such as those that improve the portability of the camera, while others give you some some extra creative leeway. My aim with this article is to add new accessories as I discover them, so if you have one to recommend, let me know in the comments section and I’ll do my best to try it! 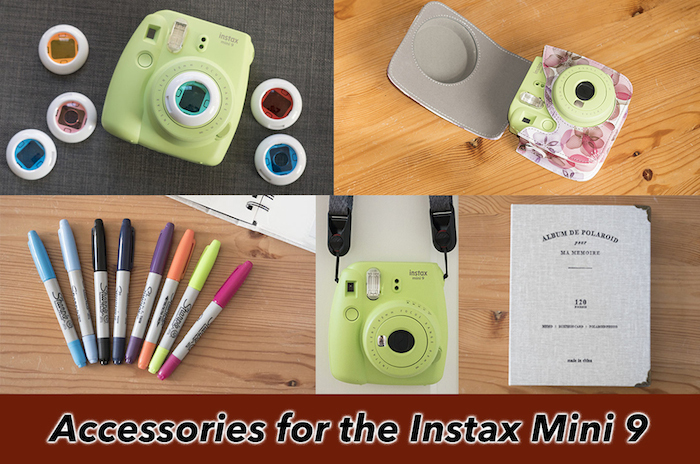 Ethics statement: We bought all the Instax Mini 9 accessories mentioned in this article for our personal use, with the exception of the Peak Design Leash which was sent to us for review purposes. We were not asked to write anything about these accessories, nor were we provided with any sort of compensation. Within the article, there are affiliate links. If you buy something after clicking the link, we will receive a small commission. To know more about our ethics, you can visit our full disclosure page. Thank you! The vast majority of camera straps I’ve tried are a nightmare to attach and remove due to the fiddly nature of their connectors, not to mention that many aren’t compatible with the Instax Mini series because the camera’s eyelets are too small for the connectors. 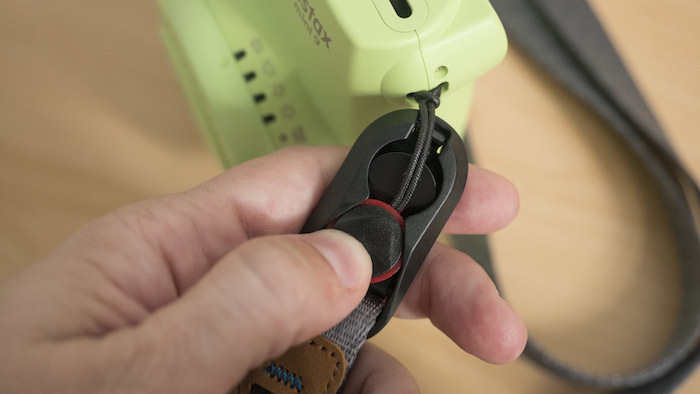 This is why Peak Design’s Leash is such a great match for the Instax Mini 9 – or any Instax for that matter. It is extremely well made and is also very easy to adjust on the fly, and using its anchor link system, you can easily attach or remove the strap in seconds. 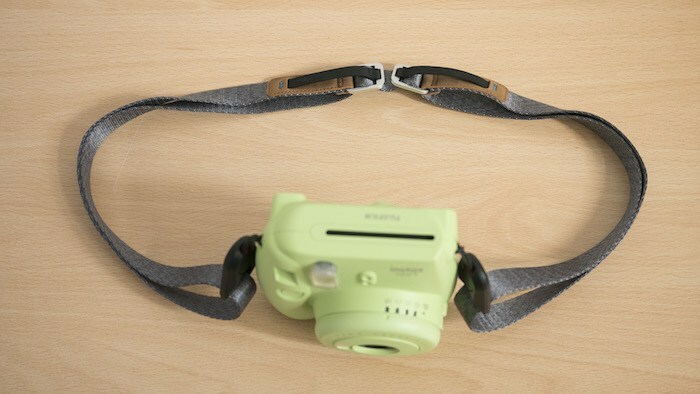 Because the anchor links and connectors are made of plastic, they won’t damage the body of the camera unlike some straps that feature metal connectors. Bear in mind that only the new version of the Leash is compatible with the Mini 9. While the old Leash itself works fine, the anchor links that come with it are too thick to fit into the camera’s eyelets. >> You can find out more about the Leash in our full review! 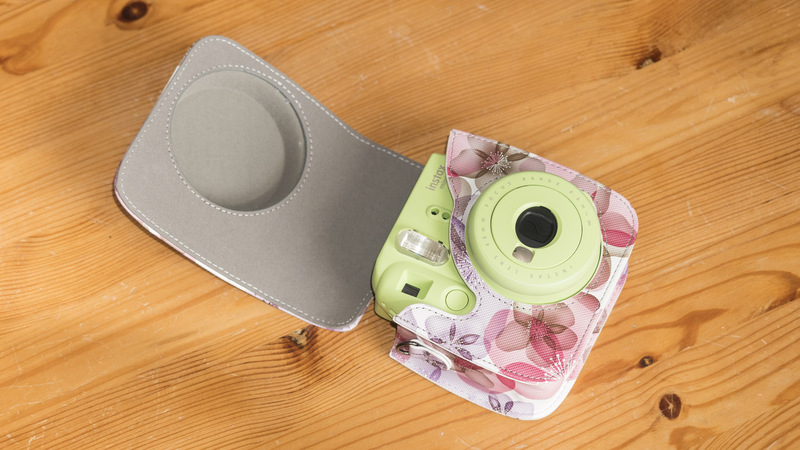 The Fintie case for the Instax Mini 9 is a no-brainer if you’re looking for a protective case for your camera. Not only are the designs gorgeous but they also seem to be well-made and fit the Instax Mini 8 and 9 cameras perfectly. It takes a couple of weeks of use for the strap to straighten out after taking it out of the box but after that, it becomes quite pliable and easy to fold up. 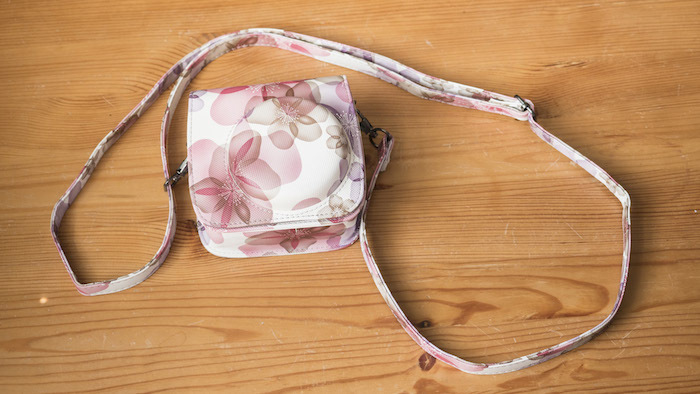 Alternatively, if you don’t want to use the strap that comes with the case, you can always remove it and use your favourite camera strap instead. One thing I really like about Fintie cases is that they don’t look like camera cases at first glance. In fact, when I took mine out to a jazz concert one evening, a couple of people thought I was carrying around a cute evening bag and were surprised when I flipped it open to reveal the Mini 9. >> You can find out more about the Fintie case in our full review! For the longest time, I didn’t have a proper place to store my Instax Mini photos. Some were scattered around my workspace while others were piled up in my desk drawer. It was only when I noticed that there were more photos on my desk than there was free space that I knew I had to get an album! Overall the photos fit well and the album itself seems quite well-made. The only downside is that you have to force some of the pages apart when you open it up for the first time. An inexpensive accessory for the Mini 9 that can be a lot of fun to use is this coloured filter set from Mudder. They attach to the front of the lens just like the included close-up lens and add a tint to an otherwise boring scene. Half the filters have a hole in the middle so that only the borders assume a colour, while the rest are one solid tint. Because they are also close-up lenses, they should be used at a distance of 30cm to 60cm in good light conditions. The only thing to be aware of with these filters is that they are a little more difficult to remove than the close-up lens that comes with the camera. Always try to hold the front element steady with one hand while you pop the filter off to avoid damaging the camera. When I first started using Instax Mini cameras, one thing that really irked me was the fact that I couldn’t easily write on the white area of the film with a normal ballpoint pen. For some reason, the ink comes out in fits and spurts, so whatever you do manage to write ends up looking like chicken scratches! In the end, I decided to invest in a set of eight Sharpie twin tip pens and I’ve been kicking myself for not getting them sooner. 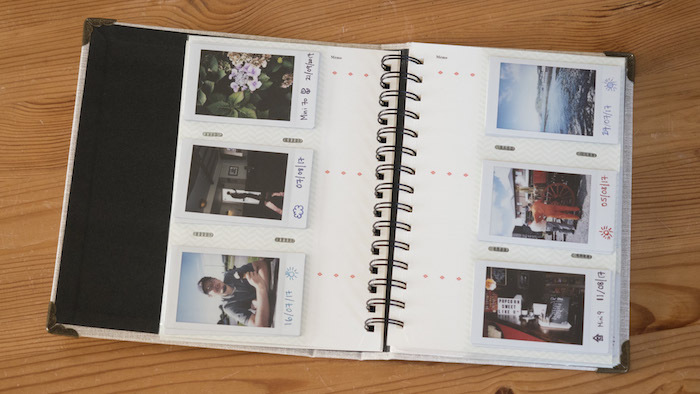 Using the thin tip, you can write clearly on any instant film and the ink dries so quickly that you can touch it almost as soon as you’ve finished writing. They’re definitely a worthwhile investment if you often write dates or messages on your film! 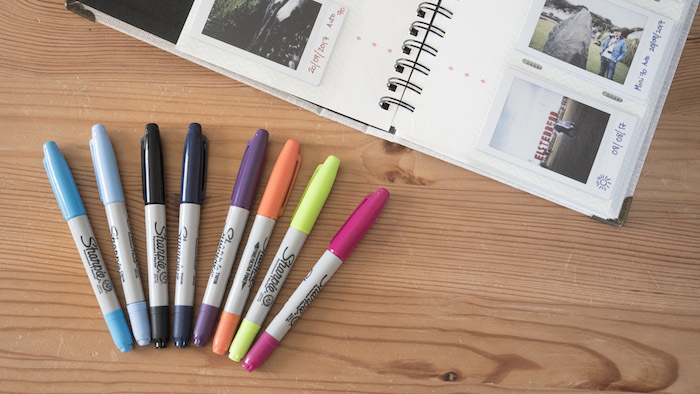 >> You can find out more about the Sharpie twin-tip markers here! 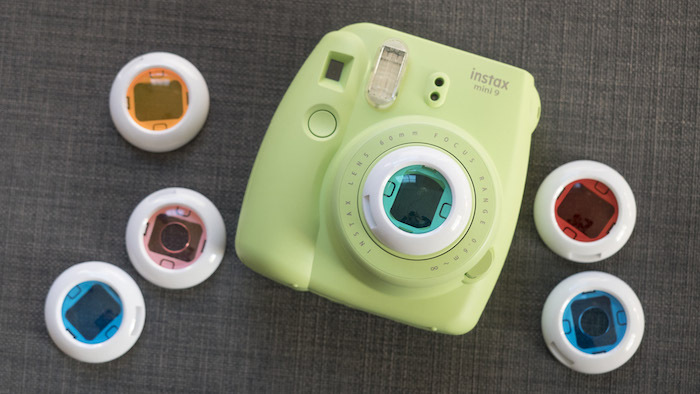 How about you – do you have a favourite Instax Mini 9 accessory that you’re keen to recommend? Let me know and I’ll try it out for myself … and maybe even give it a mention here!